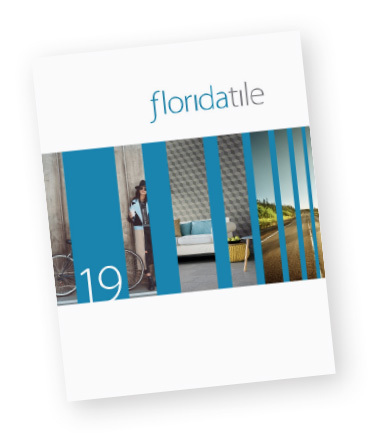 A rustic yet elegant showstopper, PietraArt Ledgerstone from Florida Tile is a hand-assembled, three dimensional panel made from the finest natural stone. The long, linear pieces of varying heights and textures combine to create a product that blends old-world character with modern design. When installed, the profile of intricately stacked natural stone establishes organic beauty with real architectural interest. Broad variations in color, texture, shading and veining in PietraArt Ledgerstone make it the perfect starting point when adding a natural element to any room. The rugged texture and dimension make any installation a dramatic focal point. Add museum lighting and you see a subtle shadow relief appear, giving it a softer aesthetic. Utilized beautifully in public, retail, office and hospitality spaces, PietraArt Ledgerstone is also well suited for residential use in kitchen, living, bath, and outdoor living spaces. Made from slate and crosscut or vein-cut marble and travertine; PietraArt Ledgerstone is available in 16 color options and offers a choice of either honed or splitface finishes in most colors. All colors are available in 6x24 format, mesh-mounted wall panels and the slate products have an “L” shaped, preassembled corner panel option. No grouting is required for PietraArt Ledgerstone, giving it the look of a tight dry-stack stone installation. PietraArt Ledgerstone is appropriate for interior and exterior wall applications in both residential and commercial settings.